£1 in our shops). When you buy online, you can have them despatched to any UK postcode for a small charge, together with a card and gift message. You can also opt to receive an envelope so that you can send it on yourself as a gift if you prefer. 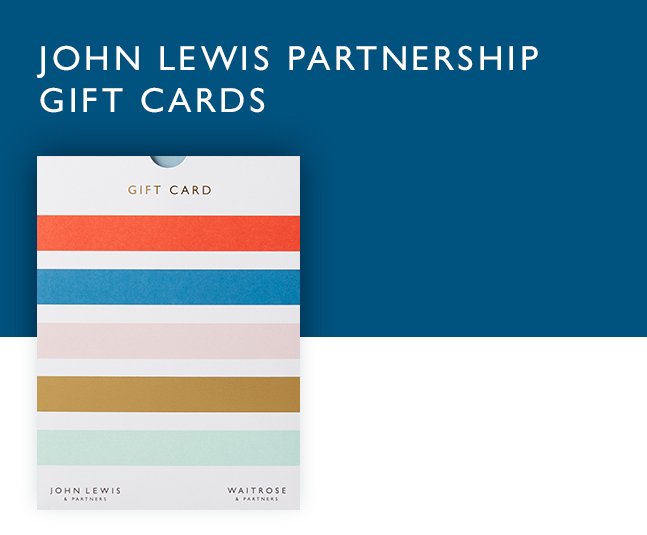 The recipient can then use our gift card to shop in Waitrose & Partners or John Lewis & Partners shops or online. The gift card will expire 24 months from purchase or last use. Buying a product or making a balance enquiry refreshes the 24-month expiry period.